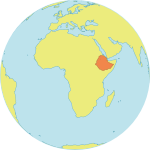 KOLLA TEMBEIN, Ethiopia – Not long ago, the sight of a 10-year-old bride was a common occurrence in Ethiopia’s Kolla Tembein District, said Daniel Hagos, the district’s chief administrator. But the community’s women and girls are mobilizing to change things – and they are seeing enormous success. “We are getting remarkable results in the fight against child marriage,” said Atsede Girmay, one of the volunteers in this effort. Child marriage is a global phenomenon, one that leaves girls vulnerable to abuse and health problems, including potentially deadly pregnancy complications . In Kolla Tembein, the practice is deep-rooted, with many people believing that girls should marry while they are young and “pure”. But three years ago, community groups began working with UNFPA to raise awareness of the harms of child marriage. Then through the UNFPA-UNICEF Global Programme to Accelerate Action to End Child Marriage, efforts were targeted towards three localities in the district where child marriage was most prevalent. Central to their approach is empowering women and girls to stand up and take action themselves. The programme works with women’s volunteer networks called Women’s Development Groups. The volunteers received information about the consequences of child marriage, as well as related issues such as gender equality, the importance of ending female genital mutilation (FGM), and the benefits of maternal health care. Some volunteers, like Ms. Atsede, were selected to become a facilitator for the broader community. Ms. Atsede received a teaching manual and training to engage people on the subject of child marriage. Now, every Sunday, she meets with 35 adolescent girls and their families to discuss the issue. “We teach how child marriage isolates a girl, how it will force her to drop out of school, and how it will end in serious health hazards such as obstetric fistula,” Ms. Atsede explained. Because girls who leave school are more likely to be married off, and because many child brides are forced to drop out, the Women’s Development Groups also work closely with the local schools. If a girl drops out, the volunteers speak with her family to convince them of the importance of education over early marriage. If necessary, they refer cases of child marriage to local authorities. In schools, girls’ clubs are also helping to end child marriage. The clubs meet every two weeks with a specially trained mentor, who explains the harms of child marriage. The girls also receive other information, including the basics of sexual and reproductive health and how to prevent sexually transmitted infections. They also gain life skills such as financial literacy skills. The idea is to empower girls to not only reject child marriage, but to minimize their vulnerability by improving their prospects for the future. Merhawit Mezgebe, 18, is a 10th grader, and has been attending this programme for the past two years. Like other girls in the club, she has opened a savings account and is eager to plan for her future. “I want to use my savings to finance my college studies without bothering my parents,” she said, smiling. The girls are also helping to stamp out child marriage in their communities, she added. 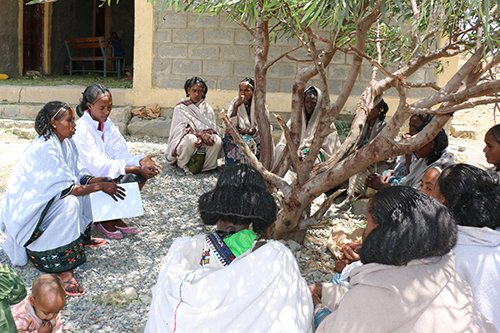 When members of the club hear about possible child marriages taking place, they report it back to their mentor, who works with authorities to take action. 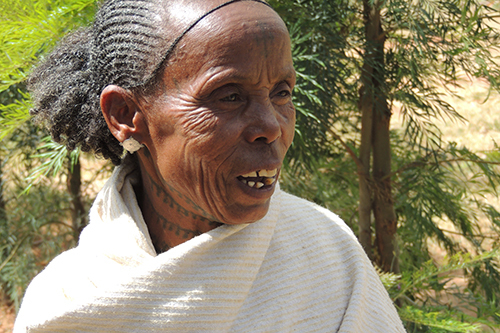 In 2014, Ethiopia committed to end child marriage by 2025. But Mr. Daniel says Kolla Tembein is on track to meet this goal even earlier. “My district will attain the commitment the country made to end child marriage before the set target date,” he said. In the three high-risk localities where the programme is being implemented, some 1,200 unmarried girls were reached through school programmes like the girls’ clubs. Community outreach efforts engaged another 1,200 girls who were already married. Thanks to such efforts, Mr. Daniel says, there have not been any cases of child marriage reported in those localities in the past last three years, and the dropout rate among female students has fallen to almost zero. The programme now is set to expand to the rest of the district.